One EU backer of the Nord Stream 2 gas pipeline has said US sanctions have made it "almost impossible" to borrow money to fund the project. 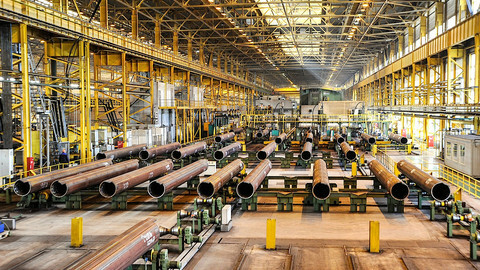 "The financing of such large infrastructure projects becomes almost impossible after the introduction of such sanctions", he said, according to Russian state media. "We will probably have to review the situation with financing, but our commitment to complete the project is still there," he said. 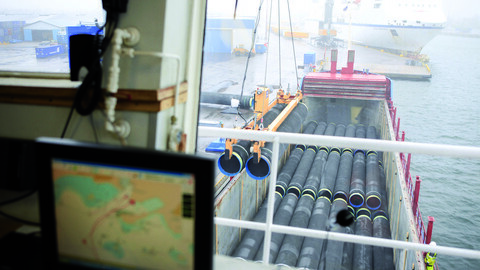 OMV has agreed to fund €950 million of the pipe's €9.5 billion cost. An OMV spokesman, Robert Lechner, told EUobserver on Wednesday it had planned to fund 30 percent of this out of its own pocket and to get the other 70 percent from capital markets. 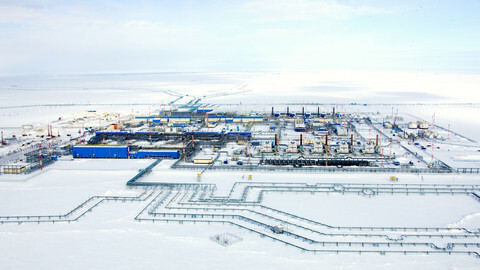 But he said that if markets were unwilling to lend money, then OMV might dig deeper into its own resources. "Should it not be possible to secure project financing for the remaining 70 percent … OMV is planning to make medium-term financing available," he said. The sanctions, which were signed into life by US president Donald Trump in September, threatened to fine investors in Russian energy projects. A US source told EUobserver at the time the sanctions deliberately targeted Nord Stream 2 because Congress saw it as a Russian ploy to divide the EU and to undermine Europe's energy security. The source said the risk of fines was designed to spook investors even if they were never imposed. Commenting on OMV's announcement, Stefan Meister, a scholar of Russian affairs at the German Council on Foreign Relations, a think tank in Berlin, told EUobserver on Wednesday: "They are nervous about the sanctions, because they know that US law enforcement is working and can make problems for their investments". 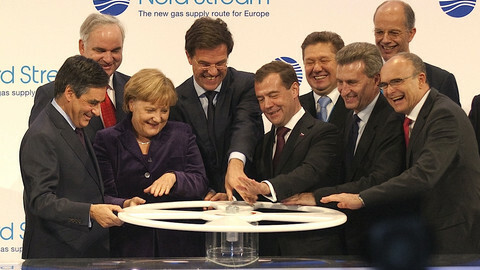 Four other EU firms - France's Engie, Germany's Uniper and Wintershall, and Anglo-Dutch company Shell - have also agreed to put €950 million each into Nord Stream 2. The rest of the money is to come from Gazprom, a Russian state firm. 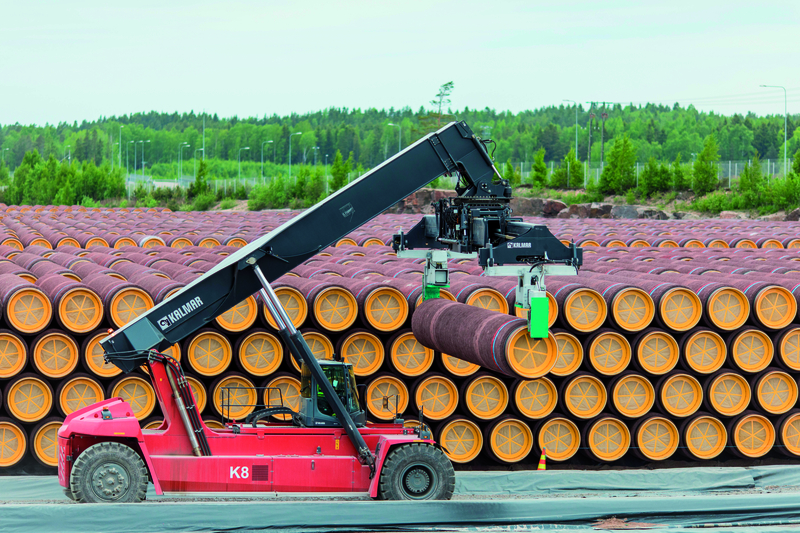 A further 200 contractors, most of them European firms, will take part in building the 900-km long pipeline under the Baltic Sea. A Uniper spokesman, Georg Oppermann, told EUobserver on Wednesday the firm had already paid €280 million of its share but that it was waiting to see what the US would do next. "For the time being, there is no change in our position," he said. "There was a decision on sanctions and there's a law in place, but we're waiting for details of the so called enabling act. The [US] president still has to decide how or if the sanctions are implemented … so we are following that closely," he said. Shell said on Wednesday it was also in wait-and-see mode. "We'll have to evaluate the new US legislation and its possible implications for our business," Sally Donaldson, a spokeswoman, told EUobserver. Engie and Wintershall were not available to comment on Wednesday, but Engie had earlier threatened to walk away if the US sanctions went ahead. "If the sanctions are actually applied to the project then we could not … continue to finance the project," the firm's Pierre Chareyre, a senior executive, said in July. The pipeline also faces opposition from several EU governments. Nordic states, Baltic countries, and central and eastern European states share the US assessment of its impact. Germany and Austria want it to go ahead, but there are divisions in Germany's ruling CDU party and in its Bavarian branch, the CSU. Manfred Weber, a CSU MEP who is also the head of the largest group in the European Parliament, the EPP, spoke out against the pipeline on Wednesday. He framed it as part of Russia's aggressive behaviour in the EU neighbourhood, saying it was necessary to "defend ourselves" against Russian leader Vladimir Putin. "We should stop Nord Stream 2 because our security, dear friends, is a bigger priority than making money," he said in the European Parliament in Strasbourg. Meister, from the German think tank, said Weber was "influenced by the discourse in Brussels" and that "his statement does not reflect the mood in Berlin". But he said German chancellor Angela Merkel was lukewarm about the pipeline. "She's not happy with the project, but she has accepted it because of German business interests," he said. "She does not see it as being problematic enough to go into conflict with [Nord Stream 2] supporters in her own party, with the SPD party [her coalition partner], and with German businesses," he said. The European Commission also has mixed views. 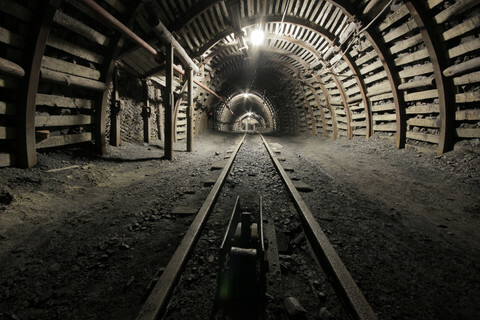 On one hand, it has said the US was wrong to interfere in EU energy policy and threatened to impose counter-sanctions on US firms if it fined OMV or its partners. But on the other hand, it shares the US concerns and wants to hold negotiations with Russia to ensure that Gazprom does not use Nord Stream 2 to enforce a monopoly in Europe. 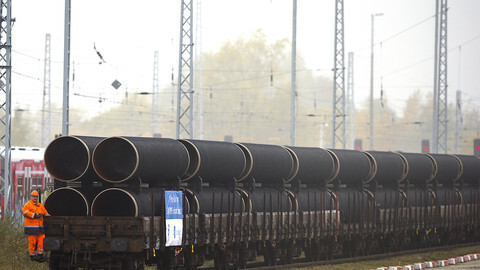 Its draft negotiation mandate said the project would create a "single dominant transport corridor" and would "sharply" reduce Russian gas flows via Poland and Slovakia. "This could hinder the development of an open gas market with price competition and diversified supplies to the EU," it said. The Nord Stream 2 consortium, a Swiss-based Gazprom vehicle, and the pipeline's EU backers voiced confidence the project would go ahead as planned despite its opponents. Jens Mueller, a Nord Stream 2 spokesman, told EUobserver on Wednesday that "we do not see a threat of delays" due to the US measures. Uniper's Oppermann said he was "optimistic there would be no [US] sanctions of our activities". He noted that Trump said "he would not proceed without close consultation with Western allies, so we put a lot of trust in those words". OMV's Seele said in Moscow that Berlin and Brussels should shield his firm from fines. "I call on Germany and the European Commission to respond to US sanctions," he said. But Meister, from the German think tank, said that if the US decided to go ahead despite Trump's talk of "consultations", then there was little the EU could do. "I don't think that the EU would decide on counter-measures or that Washington would be impressed by them if they did," he said. EU firms are betting that a non-binding “consultation” process on new US sanctions will stop their investment in a Russian gas pipeline from turning into a fiasco. Germany and Austria have urged the US not to impose sanctions on Nord Stream 2, a Russian gas pipeline, in stark terms that spoke of ending joint action on Ukraine. Russian state firm Gazprom has said that it plans to build the Nord Stream 2 gas pipeline to Germany despite the objections of Polish regulators. 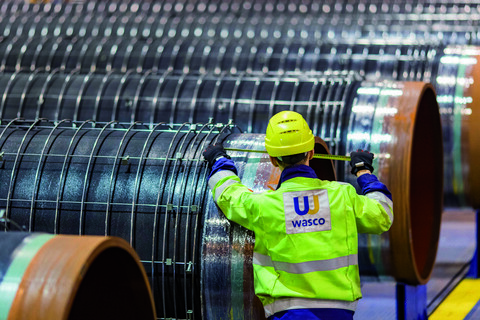 A peek into Commission plans to hold talks with Russia on Nord Stream 2 shows why both Moscow and Berlin are likely to oppose any such negotiations. EU lawyers have shot holes in the Commission's bid to regulate a new Russia-Germany gas pipeline. 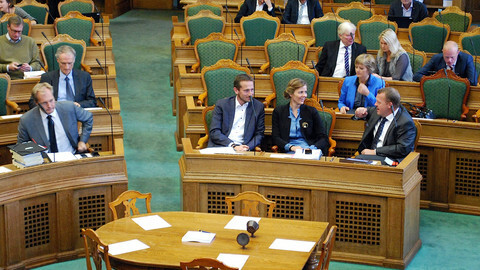 Danish bill, to be debated on Thursday, could make it possible to block pipelines such as Nord Stream 2 on security grounds.